Sequencing of ancient Native American remains from British Columbia (Canada), dated to c. 5-6000 years ago, shows that many modern local natives are their apparent descendants or otherwise related. To gain a better understanding of North American population history, complete mitochondrial genomes (mitogenomes) were generated from four ancient and three living individuals of the northern Northwest Coast of North America, specifically the north coast of British Columbia, Canada, current home to the indigenous Tsimshian, Haida, and Nisga’a. The mitogenomes of all individuals were previously unknown and assigned to new sub-haplogroup designations D4h3a7, A2ag and A2ah. The analysis of mitogenomes allows for more detailed analyses of presumed ancestor–descendant relationships than sequencing only the HVSI region of the mitochondrial genome, a more traditional approach in local population studies. The results of this study provide contrasting examples of the evolution of Native American mitogenomes. Those belonging to sub-haplogroups A2ag and A2ah exhibit temporal continuity in this region for 5000 years up until the present day. Of possible associative significance is that archaeologically identified house structures in this region maintain similar characteristics for this same period of time, demonstrating cultural continuity in residence patterns. 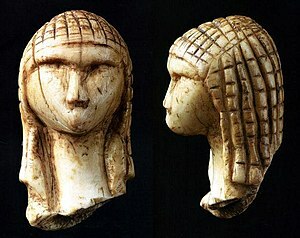 The individual dated to 6000 years before present (BP) exhibited a mitogenome belonging to sub-haplogroup D4h3a. This sub-haplogroup was earlier identified in the same general area at 10300 years BP on Prince of Wales Island, Alaska, and may have gone extinct, as it has not been observed in any living individuals of the Northwest Coast. The presented case studies demonstrate the different evolutionary paths of mitogenomes over time on the Northwest Coast. Figure 2. Phylogeny of complete mitochondrial genomes sequenced in this study. al. (2012). All other samples were analyzed in this study. Figure 1. An eight base-pair tract of identity by state (IBS). Identity-by-state (IBS) segments are those located between any two SNPs (polymorphisms, letters that vary among individuals). According to this new paper, they seem to be evolutionarily neutral and therefore their length, modified by recombination events each new generation, is a good trail to reconstruct human demographic history. Figure 7. A history inferred from IBS sharing in Europeans and Yorubans. This is the simplest history we found to satisfactorily explain IBS tract sharing in the 1000 Genomes trio data. It includes ancient ancestral population size changes, an out-of-African bottleneck in Europeans, ghost admixture into Europe from an ancestral hominid, and a long period of gene flow between the diverging populations. (Right margin annotations by Maju). Indeed the simplest revision of the time-scale was to double it. I guess it can be refined a bit more than that, maybe pushing it a bit further into the past, but the alternative time-scale I propose fits closely enough with known archaeological data like the time of the OoA to Arabia and Palestine or the spread of Acheulean (and therefore H. ergaster, common ancestor of Neanderthals and H. sapiens) out of Africa c. 1 Ma ago to illustrate that the reconstruction seems pretty much correct overall but fails when estimating the dates (because of scholastic-autistic academic biases that are too common in the field of human population genetics). Update: even Dienekes agrees, on his own well documented reasoning, with a x2 mutation rate being necessary for the above graph. In the World-famous diving paradise of Raja Ampat, just West of the Bird’s Head peninsula of Papua (aka New Guinea), there is more than one of the greatest biodiversity areas of the planet. It has been found recently that off the shore of Misool, one of the major islands of the archipelago, there is also abundance of beautifully conserved Paleolithic murals. a (facultative) step-bank (coral or karst platform) at the foot. The art was obviously above the water level until the sea flooded all that area at the end of the Ice Age. Sources: World Archaeological Congress, Stone Pages’ Archaeonews. Update (Feb 24): after being down for days, causing perplexity among some readers and myself, the WAC source site is up again. Exactly as it was four days ago. Just in case this time I’ll upload the images here. The Basque Museum of Baiona (Bayonne in French) will welcome for two months the exposition Aquitaine préhistorique – Historiaurreko Akitania (Prehistoric Aquitaine), gathering some of the most fascinating stuff and information from European prehistory. Among the elements in this educative show are the famous Lady of Brassempouy (left) and more than 2,000 other archaeological objects from the heartland of European Paleolithic. The exhibition will be at Baiona between March 22nd and May 22nd and has already been at Bordeaux’ Museum of Aquitaine. Sources[es]: Pileta de Prehistoria, Deia newspaper. 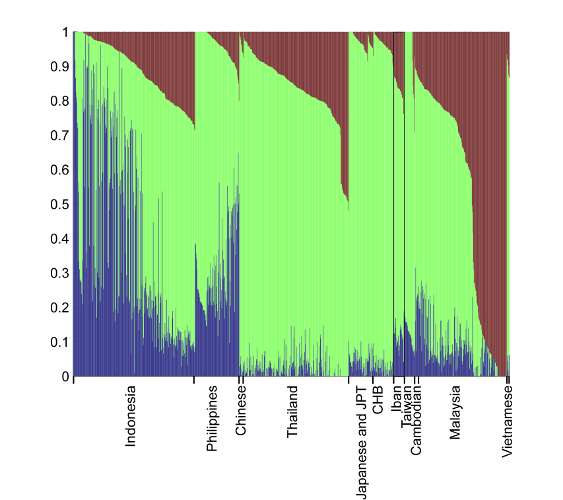 Tatum S. Simonson et al., Ancestry of the Iban Is Predominantly Southeast Asian: Genetic Evidence from Autosomal, Mitochondrial, and Y Chromosomes. PLoS ONE 2011. Open access. Because good things always come in batches, right? Well whatever the case, the Sea Dayaks or Iban people do not cluster well with Taiwan Aborigines or other possible source populations for the fabled Austronesian colonization of Island SE Asia. Nope, they cluster best with mainland SE Asia, notably Vietnamese, Thais and peninsular Malays. Where the Iban cluster best with some Indonesian (but not others) and Thais (again some but not others) but not with Taiwan Aborigines (and only poorly with Filipinos). Here we can spot three components, neither of which is too specific. Still the red component seems strongest among Malaysian (not the Iban however), the blue component is most common among some Indonesians, while the green component is widespread by dominant in the mainland if anything (specially Japan/North China). Not too clear anyhow but for deeper clustering you probably want something else, like the HUGO paper. This is more clear, right: here the Iban are almost like Vietnamese and then like other Sundaland Malays but not like Taiwan Aborigines nor Filipinos. So Y-DNA-wise they do not look particularly Austronesian recent arrivals but older arrivals from Indochina if anything. Seems not again: Philippines and Taiwan are far away, while Sundaland, Orang Asli, Thais and Chinese are closer. The majority of mtDNA haplogroups and the greatest proportion of NRY lineages identified in our Iban sample are associated with population movements that occurred prior to this expansion. More NRY haplogroups than mtDNA haplogroups were introduced into this population during the Neolithic expansion, but the proportion of NRY haplogroups attributed to this more recent event is still less than half of the total NRY haplogroups identified. 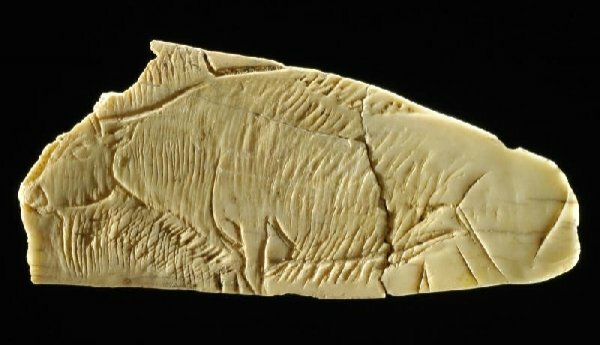 Therefore, it appears that migrations during the Neolithic did not eradicate pre-Neolithic groups. 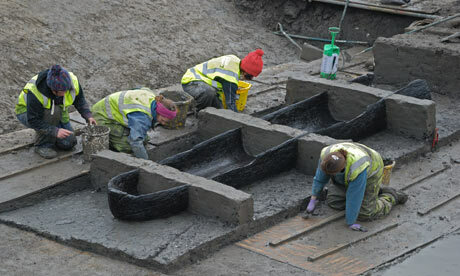 Another blow against Neolithic replacement nonsense.